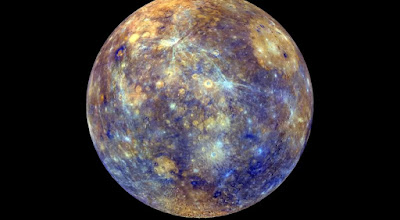 Mercury is very necessary for job, money, progeny and speech. Life partner creates problem if Mercury is weak. You won’t get success in your business if Mercury is weak. However, if the Mercury is strong then person would be good lawyer, astrologer and singer. A person would be intelligent if Mercury is strong. Chili is very important to strengthen the Mercury. Chili digests the food easily. Chili strengthens the heart and improves the fertility. Chili is very helpful to cure urinary tract disorders. People change their business frequently when Mercury is weak. They always get debt. You can wear steel or iron ring into little finger on Wednesday. Flow empty urn (pottery) in to running water on Wednesday. You can also donate silver to your aunt, wife and daughter. You can also worship goddess Durga to strengthen the Mercury. You can wear yellow thread in your throat on Wednesday. You can eat chili along with your diet in summer. You should regularly eat chili to get rid of lack of hemoglobin in your body. Chili gives iron and calcium. Capsicum works as an anti-oxidant. Capsicum contains vitamin A and C. It fights against heart attack, osteoporosis, asthma and meningitis. Capsicum controls the cholesterol. It doesn’t have calories. It helps to maintain the weight. Capsicum increases the metabolism of the body. It gives relief from the pain. Capsicum is very helpful in muscle pain and skin disorders. Capsicum protects us from lung infection and asthma. You should include white pepper in your diet. It is very helpful in several diseases. Take lemon, 1-2 white pepper, honey and ginger juice. Mix them properly and eat it. It is very beneficial for eyes and mind. Prepare mixture of ghee, flour, sugar and white pepper powder. Regularly intake this mixture. You should chew 5 pieces of black pepper every morning. It is very beneficial for white teeth. Black pepper has pepperine element. It is useful for shiny skin. You can eat 5 pieces of black pepper and 21 pieces of raisins to maintain low blood pressure. Prepare mixture of black pepper, asafetida and camphor.